Bill Neukranz, towering over North Texas Renewable Energy Group volunteers, at his home, a regular stop on the DFW Solar Tour. Photo courtesy of North Texas Renewable Energy Group. A Plano man who could brag that he’d been able to cut his electric bill by more than half died, last month. Bill Neukranz, a member of the North Texas Renewable Energy Group, died Feb. 23, at the age of 64, after an undisclosed illness. The Plano resident was an energy efficiency aficionado who often gave talks sharing his personal experience, including his "Top Ten Steps to Cut Energy Costs in Half." "It’s hard to get people excited about cutting energy usage by 3 percent but when you talk about whacking off 50 percent then people start to take interest," said Larry Howe, a fellow member of NTREG and the founder of Plano Solar Advocates. According to his obituary, Neukranz grew up in Indiana and received a bachelor of science in engineering from Purdue University. He earned a masters of business administration from the University of Dallas. 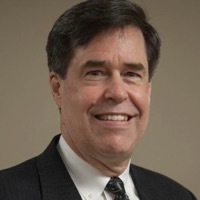 He worked for Texas Instruments for 30 years in various capacities including as an engineer for Missile Defense Systems, IT Systems Manager, Semiconductor Financial Systems Manager and Director of IT Support until his retirement in 2007. He later worked as a consultant for a commercial LED lighting company, AEEI. 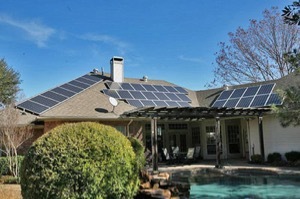 Howe said the Neukranz home in Plano was a regular stop on the DFW Solar Tour. The 3,400-square-foot single story home had a $62/mo average heating/cooling monthly cost in spite of DFW's hot climate and using electricity for heating. "He was a numbers guy and he was always economically focused. He was glad to be doing environmentally conscious things but he always presented it as an economic advantage," said Howe. Neukranz started his research when his electric bill exceeded $950 in a month in 2006. At one of his presentations, he recounted with humor how he convinced his family to ditch energy-draining luxuries such as a second refrigerator. "He had a pretty extensive amount of monitoring in his house" said Howe. "When he tried to do something he always tried to measure the impact." Neukranz emphasized that in order to cut energy cost, there is a hierarchy of things you can do, starting with "no or low cost and small efforts" to "higher cost and larger efforts." As a result, he created a list of steps that he recommended be done in order to get maximum results with the least cost and effort. "Although I think he would tell he didn't do it in that order," said Howe, with a chuckle. "He learned from what he did and would tell others what he did wrong. Plus I think the cost for solar was quite a bit more when he started doing [the presentation]." In honor of his passing, we’re resharing the steps that Bill gave GreenSourceDFW.org permission to reprint in 2013. Fellow NTREG member Mellen West described Neukranz, whose hobbies included mountain climbing and participating in triathlons, as a problem solver with a spirit of adventure. "Bill was quite a guy but he did not fit the traditional 'tree hugger' image when it came to renewable energy and solar," said West. "Bill always looked at the bottom line. Start with efficiency and use less energy however it is made. Bill was a good solar ambassador."